Dr. Brian Lyngaas offers a full spectrum of general, cosmetic, and restorative dental services at our Livonia, MI, office. Patients can receive crowns, bridges, and composite fillings to restore their teeth, or revitalize their smile with a number of cosmetic procedures. We are committed to offering high-quality care but your time is also a priority, so you can expect to be seen immediately at our office. Dental X-Rays: We prefer digital x-rays over traditional imaging methods to review your oral health. This advanced technology allows Dr. Lyngaas to look for any signs of decay, disease, fractures, or bone degeneration. Digital x-rays exude 80 percent less radiation and provide a safer and more detailed approach to preventative care. Exams and Cleanings: One of our dental hygienists will administer x-rays and remove plaque buildup with gentle dental instruments. We will use a polisher and special paste to professionally clean and brighten your smile, and may also educate you on ways to improve your oral healthcare regimen. Dr. Lyngaas will review your x-rays and examine your mouth, looking for any signs of decay and gum disease. Fluoride Treatment: This treatment is extremely beneficial for children to protect their teeth against decay. We may also recommend fluoride for adult patients who are at a higher risk for developing cavities. Dental Sealants: For children and young adults who are more susceptible to cavities, a hygienist can apply thin plastic coatings to the surface of the back molars to help prevent tooth decay. We are committed to offering high-quality care but your time is also a priority, so you can expect to be seen immediately at our office. During an examination, ​Dr. Lyngaas will review your x-rays and examine your mouth, looking for any signs of decay and gum disease. Composite Fillings: If a cavity is detected during your examination, Dr. Lyngaas can restore the structural integrity of your tooth with a tooth-colored restoration. By tinting the composite resin to blend with the natural shade of your tooth, we can ensure your filling will be virtually invisible. Inlays or Onlays: For damage to the biting surface of a tooth that is too large for a filling, Dr. Lyngaas can apply an inlay or onlay to help repair and restore the tooth. An inlay covers a tooth with damage in between the cusps, whereas an onlay is preferred if one or more of the cusps have been affected. Root Canal Therapy: When the root of a tooth has suffered infection or sustained trauma, Dr. Lyngaas can administer root canal therapy. 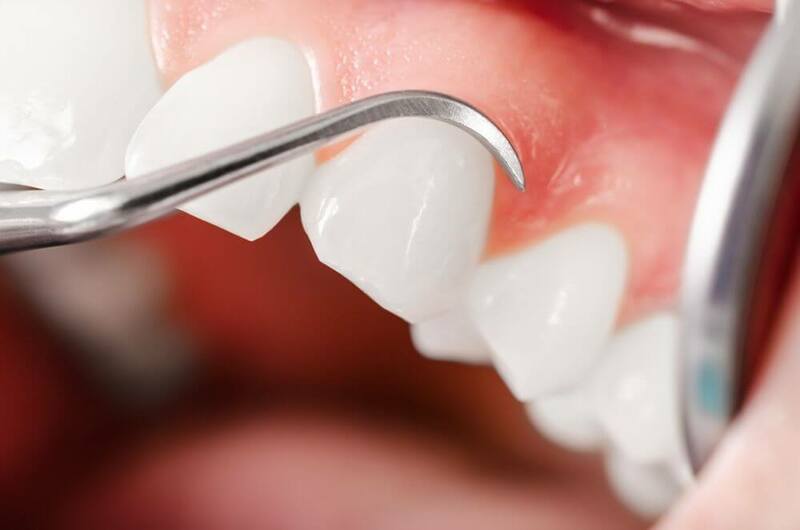 He will remove the unhealthy tissue and nerves from inside the tooth and place a dental crown to provide strength and avoid the need for extraction. Tooth Extractions: When a tooth has been damaged or decayed beyond repair, Dr. Lyngaas can gently extract your tooth to help protect your overall oral health. Porcelain Crowns: A dental crown can be used to repair and strengthen a tooth, improve aesthetics, or top a dental implant to replace a missing tooth. Porcelain Fixed Bridges: If you are missing one or more adjacent teeth, a bridge can be designed to help fill in the gap. This type of restoration is made from two or more dental crowns with a pontic (false tooth) in between. The two crowns are designed to fit over your healthy, remaining teeth. Complete or Partial Dentures: If you are missing multiple teeth or an entire dental arch, we may recommend a traditional or implant-supported denture to improve your health and smile. Dental Implants: If you are looking for a permanent solution to replacing missing teeth, small titanium posts can be surgically inserted into your jawbone to create a durable foundation for natural-looking restorations. Periodontal Treatment: Periodontal disease can be managed with a range of treatments, including scaling and root planing (also known as a deep cleaning). Teeth Whitening: We offer Zoom! teeth whitening as both in-office and at-home treatments. TMJ Disorder Therapy: If you are diagnosed with temporomandibular joint (TMJ) disorder, we provide treatments to reverse the effects and repair damage. Orthodontics: For patients with minor to moderate dental misalignment, Simpli5 clear aligners can help comfortably straighten their smile. Mouth Guards: Custom mouth guards can be fabricated for contact sports as well as to prevent bruxism (teeth grinding and jaw clenching). Backed by a commitment to ongoing education, Dr. Lyngaas strives to provide our patients with a comprehensive scope of dental care. Contact our office online or call (248) 473-0050 to schedule your appointment with us today.